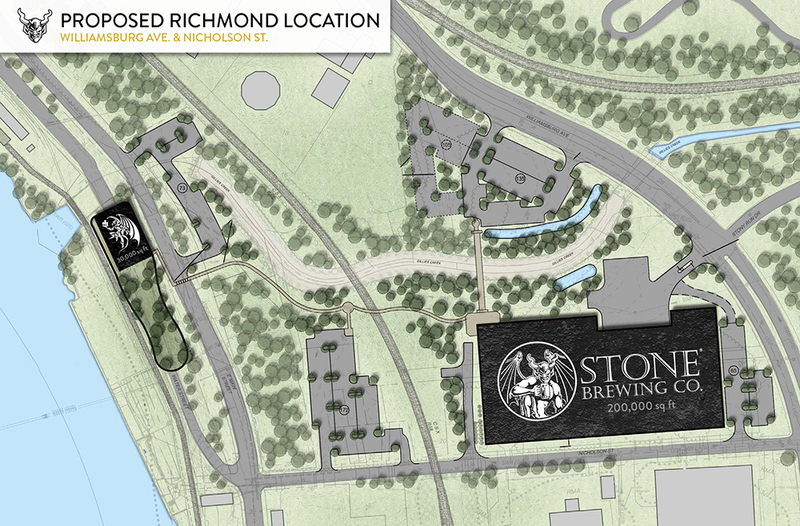 Posted in Brewery Expansions, Headlines, Stone Brewing Co.
After much speculation, and even a law change to entice Stone Brewing Co. to South Carolina, the brewery has chosen Richmond, Virginia as their next home. Today the brewery announced they have signed a letter of intent with the City of Richmond solidifying their interest in the build. The proposed site seen below, is near Williamsburg Avenue and Nicholson Street.